Spring greens are winter-hardy cabbages sown in July and August, ready for harvest during the first quarter of the year when other green veg is scarce. Beautifully sweet and tender, they bring youthful freshness at a time when plates feel in need of a lift after winter. Try them in this tasty spring green mung dal & chickpea curry with shiitake. Roll the leaves together in a cigar shape and slice into ribbons. Don't discard the stems - just slice them more thinly than the green parts; they are actually sweeter than the leaf. Blanched, fried or steamed, spring greens need very little cooking. Dress with butter and lemon for a simple side, or add to risottos, stews and stir-fries. 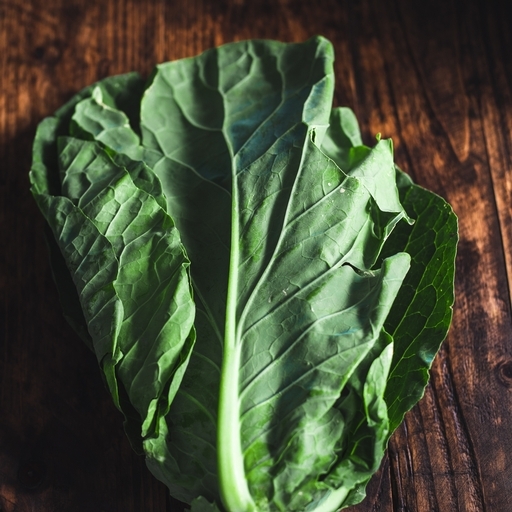 Store spring greens in the fridge and use within 3-4 days. Don’t worry if the leaves look a little tatty or purplish – they will still taste great. These spring greens are fresh from the fields of our regional farms.